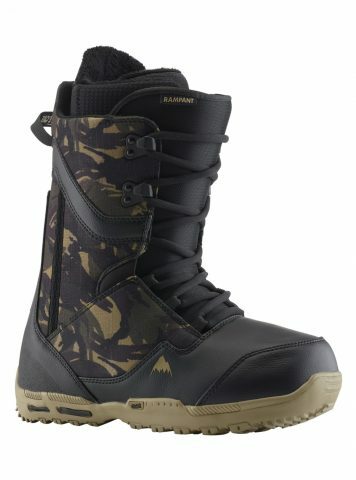 The Burton Rampant Men’s Snowboard Boot 2019 is the premier choice for traditional laces in the park. DynoLITE cushioning with EST is weightless and low-profile for the best board feel in the business. Soft yet supportive with a similar flex to the Concord Speed Zone, the Rampant snowboard boot keeps you comfortably connected without sacrificing the support, strength or cushioning your all-out riding requires.